LG DX2500 25" Monitor with Glasses-free 3D! 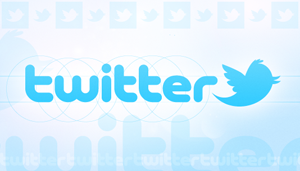 Stay Up to Date - Follow TFTCentral on Twitter! AOC have recently announced the release of a new 27" model in their range, the e2752Vh. This screen is designed primarily for gamers with its 2ms G2G response time and TN Film panel. The screen also uses W-LED backlighting (doesn't every screen now?!) and comes with D-sub, DVI and HDMI inputs. Like many of their other screens the e2752Vh has integrated 2.5W stereo speakers. Other features include the so-called iMenu option, which allows the user to change settings using only the keyboard and mouse, and the embedded Screen+ software, which divides the screen into four self-contained work areas for improved productivity. Furthermore, the e2752Vh also sports an Off Timer that sets an alarm clock to turn off the monitor automatically. 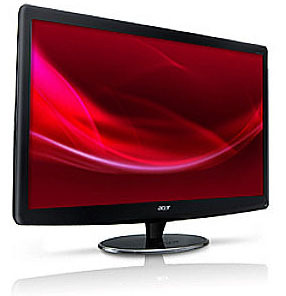 Acer have announced a new 27" monitor in their range, sporting an ultra-thin profile and energy efficiency benefits. The S271HL uses W-LED backlighting and its profile is only 24mm thick. It features a "rounded glossy porcelain-like foot" which is designed to look attractive for the "style conscious and space-saving home user". The S271HL integrates white LED technology which eliminates hazardous substances such as mercury or halogen gases. Plus, compared to the traditional CCFL displays the S273HL can reduce power consumption by up to 68%. This translates to substantial cost savings, while preserving nature’s energy resources. 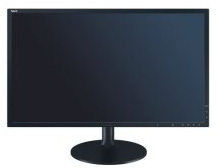 The smart 27” Monitor is equipped with an array of ports ensuring easy connectivity to a wide range of devices: VGA; HDMI, DVI with HDCP protection, ensuring full enjoyment of DRM-protected content; HDMI, providing advanced digital connectivity enabling outstanding high-definition viewing and best quality uncompressed video currently available. The Acer S271HL will available in the UK at the end of April for a suggested RRP of £229 inc.
We have recently learnt about the current LG.Display roadmap for LCD panels which are in production now and planned for release in 2012. It is always interesting to have a look at this timeline as there are often new interesting modules being released. Below are a list of the changes and new panels we have learnt about so far. Of particular interest are new 30", 27" and 24" IPS modules which are widely used in the market at the moment. Interesting too is the distinction on LG.Display's roadmap between their current (and indeed some new) "IPS" parts and some of these new modules which are instead labelled as "AH-IPS". We have yet to see how these might vary from "normal" IPS parts but AH-IPS has been a term used to date to describe high definition panels in smaller applications (mobiles etc). However, we know from the specs that these AH-IPS panels will not offer resolution improvements so perhaps it's just another new term LG.Display are throwing around. Also of interest is the fact that some of the new modules are labelled as having an "Adobe RGB" colour coverage, despite their use of W-LED backlighting. At the moment all W-LED units are able to approximately cover the sRGB colour space only, but this naming scheme suggests that perhaps they are able to offer wide colour gamut coverage from W-LED units. We will wait to see what more information is available as well on this. LM240WU9 - Interestingly there are two new versions of this 24" AH-IPS panel with W-LED backlighting, and 1920 x 1200 (16:10 aspect) resolution listed. One will offer 300 cd/m2 brightness and sRGB colour coverage, while the other is listed with 350 cd/m2 brightness and Adobe RGB coverage. The former is scheduled to be in production in Q3 2012 while the latter a little sooner in Q2. 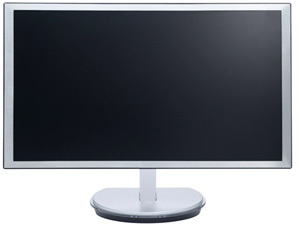 LM230WF3 - There have already been various versions of this popular 23" IPS panel in the market, and widely used (in different revisions) in models such as the Dell U2312HM, NEC EA232WMi, LG IPS231P etc. We don't know at this stage what revision the new part will be but it is apparently in production as of January this year. It is again labelled as AH-IPS as opposed to "regular" IPS so it will be interesting to see how this develops. Their existing WF3 modules will apparently become end of life once this new part goes into production. LM215WF3 - this is again an updated revision to a module already in production and we do not know the revision number at this time. This panel will apparently be a 21.5" AH-IPS part and is set for mass production from Feb 2012 onwards. This will then replace some of the previous WF3 modules which will go end of live. LM215WF7 - apparently in production since Aug 2011 but this will be a 21.5" IPS module with support of 3D FPR. LM200WD4 - a 20" widescreen module with 1600 x 900 resolution and using IPS panel technology. You can also spot the trends from LG.Display's development strategy through their products going end of life this year. Some of their existing 3D active shutter supporting modules (120Hz compatible) will be end of life during 2012 including 27" (LM270WF3), 23" (LM230WF4), and all their new 3D modules will be using 3D FPR instead. Their CCFL backlit modules will also largely be going EOL including 23" (LM230WF2, LM230WF1), 22" (LM220WE1), 21.5" (LM215WF2, LM215WF1), 20" (LM200WD1), 18.5" (LM185WH1). Interestingly the 24" LM240WU7 IPS panel using CCFL backlighting is scheduled to continue, presumably given the ongoing demand in this size range. We have updated our comprehensive panel parts database with as much of this new information as is available at this time. 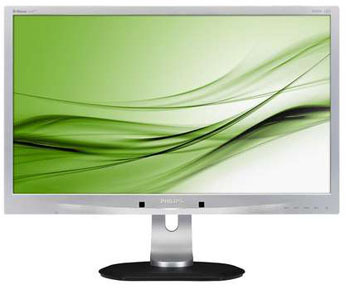 ViewSonic have recently announced the release of a new 23" IPS monitor in their range. The VX2336s-LED offers a light and thin design, a wide range of ergonomic adjustments and a curved piano-black mirrored frame and design. Interestingly ViewSonic talk about their so called "SuperClear IPS technology" and also "Xtreme View IPS Technology" in their press release and data sheets. It goes on to say "both vertical and horizontal view angles of VX2336s-LED can reach as wide as 178 degrees. You’ll experience brilliant image quality and accurate colour performance whether looking at the screen from above, below, the front or the side. ViewSonic’s new SuperClear™ IPS technology also effectively enhances grey levels when displaying dark colours, resulting in a high contrast ratio capable of displaying “true black” and distinct colour depth. SuperClear™ IPS is the perfect solution for graphic designers, print professionals, video editors and more". Not much change there from normal IPS technology of course with regards to viewing angles and we know that ViewSonic do not actually manufacturer any of their own panels. This will be using a panel from LG.Display but it sounds like ViewSonic are proud of the decent black levels and wide viewing angles of the panel selected. More marketing speak really and it remains to be seen whether there's any real-life difference compared with a "normal" 23" IPS model. The specs for the new screen are listed below. 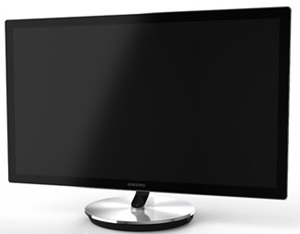 ViewSonic’s proprietary Eco-mode function offers three modes from the Standard（100%）, “Optimize (75%)” to “Conserve (60%)” to support the brightness adjustment in different scenarios. Under low ambient light conditions the user can adjust the brightness to improve visibility, reducing eye fatigue and prolong the display’s LED lamp life. The VX2336s-LED suggested RRP is £159 inc and is available now. Never one for giving us nice simple models names, the 23.6" 248C3LHSW is the latest monitor to be released in the Philips Moda range. The press release states that the screen was "recently awarded the prestigious iF Design award for 2012, the Moda monitors are now moving to the next level, with a brand-new look for the 24-inch model. In addition to the two-tone gloss finish – black at the front and white at the rear – the 24-inch 248C3 is now also available in full white, front and rear. The brilliant gloss finish complements the slender design, which also features an aluminium die-cast base, adding style to any desk or living space." 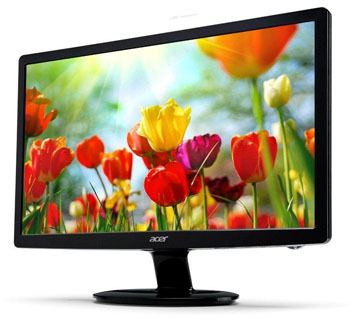 The screen uses W-LED backlighting and offers a 1920 x 1080 resolution from its 23.6" sized panel. There is a 2ms G2G response time and 2x HDMI interfaces available. 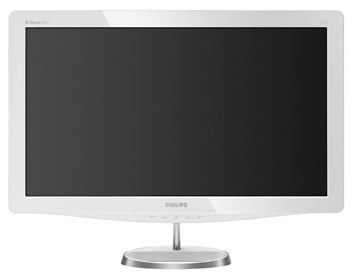 The white Philips Moda 248C3LHSW LED monitor is available immediately at the recommended retail price of £209.00 incl. VAT. Being somewhat overshadowed by the release of the BenQ XL2420T, another model has been released recently by the company, but this time it is more aimed at RTS gaming than FPS. The screen does not offer the 120Hz and 3D support of the XL2420T but a fair amount of development has gone in to it nevertheless. IT has apparently been co-developed with the professional team of Starcraft 2 gamers known as ‘Stardale’ (‘Bomber’, ‘July’ and ‘Ace’) and features a special ‘RTS mode’ designed to maximise visibility in dark areas. The design is in a black and red scheme and there is a decent full set of ergonomic adjustments available from the stand. D-sub, DVI-D and HDMI interfaces are available as well (HDCP supported). A wide range of aspect ratio control options will be available as well which are described on their website. The RL2450HT is available in the UK now at ~£200 GBP. There will also be a RL2450H model available without the stand adjustments (tilt only) for a slightly lower price. 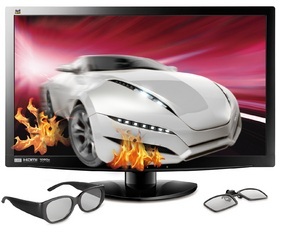 Another model showcased at this years CES exhibition was the ViewSonic V3D271. 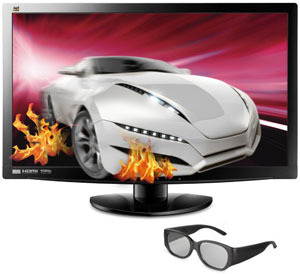 This 27" monitor uses passive 3D technology to support stereoscopic vision. This represents a change of direction for ViewSonic who have mainly been using active shutter methods, with NVIDIA's 3D kit in mind, to offer 3D solutions. This means that while it will offer 3D support, it does not offer the 120Hz refresh rate support of active shutter based screens. There is not a massive amount known about the screen yet other than it will offer a 1920 x 1080 resolution, an HDMI 1.4a interface and comes with 2x 2W integrated speakers with SRS Premium Sound. The V3D271 is expected to be available in Q2 2012, no word on price yet. 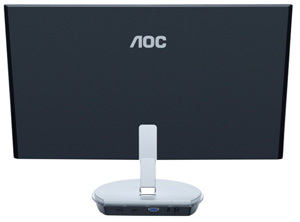 AOC are set to release a new 23" monitor in their range, this time a model featuring passive Film-type Patterned Retarder (FPR) 3D technology. The d2357Ph utilises a W-LED backlighting unit and offers an ultra-thin design measuring only 5.8mm thick (panel), or 10.6mm with the stand. This design has helped it to win the iF Designed Award 2012 for a multi-monitor workstation display. 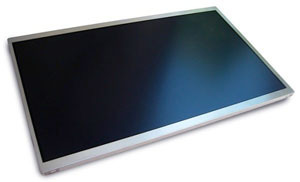 The stand can also be folder back to allow the screen to act as a giant digital picture frame (as shown above). The screen will offer the normal 1920 x 1080 resolution, a 2ms G2G response time and offers 2x HDMI ports for connectivity. There is an integrated software package which allows you to convert standard 2D content to 3D stereoscopic images. The d2357Ph is expected to be released towards the end of March at a retail price of around 300 Euro. 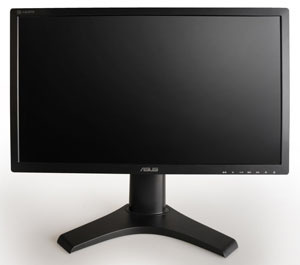 During this years CES exhibition in January, Asus showed off their new 27" IPS based screen. The VA278Q offers a massive 2560 x 1440 resolution and apparently will use W-LED backlighting to give a standard sRGB colour gamut. Other specs being discussed were of course the 178/178 viewing angles, and the obligatory unrealistic dynamic contrast ratio of 80 million:1. The stand will offer a full range of adjustments including tilt, height, pivot and rotate and there are DisplayPort and DL-DVI connections available. No real firm news on availability or price yet, but watch this space. 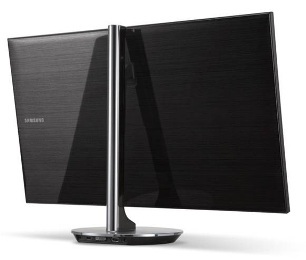 Samsung have recently announced the forthcoming release of their new 27" SA970 monitor. This is the successor to the S27A850 screen (SA850 series) which was the first of its kind to feature Samsung's new PLS panel technology. For the S27A970, their marketing talks about its elegant and unique design, with a brushed aluminium finish, ultra thin design, height adjustable aluminium stand and a stand which makes it "appear to effortlessly float in mid-air". The interface connections for DisplayPort, DL-DVI and HDMI are also housed in the back of the base to avoid wire clutter and keep the screen tidy. The screen also offers built-in 7W Stereo speakers and a Mobile High Definition Link (MHL) for MHL-enabled smartphones and tablets. By linking their Android MHL-compatible smartphone, users can enjoy content from their mobile devices directly on the much larger screen and with the benefit of rich, built-in stereo audio. They can also keep an eye on their smartphone, seamlessly browse to it and even charge the device for added convenience. 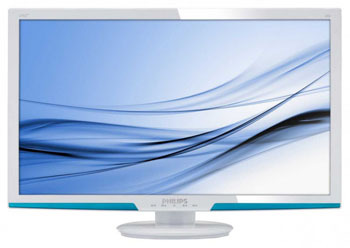 The SA970 is based on Samsung's own PLS panel technology as well, with a 2560 x 1440 resolution. Interestingly the screen also offers "an anti-glare edge-to-edge tempered glass display" apparently. It remains to be seen whether this produces a glossy coating or just the semi-gloss / semi-AG type appearance that the SA850 screen had. Samsung technicians even "tune each SA970 before they are packed and shipped from the factory." Again, the level of this factory calibration remains to be seen but it's a nice idea. The specs for the new screen as it is known at the moment is listed below. The SA970 is scheduled to arrive in March, with prices starting at $1199.99 USD. Correction 10/1/12: Some Samsung Press information suggested that this model would be part of their "SB970" series, but in fact it is named the S27A970 and so will be the "SA970" series. 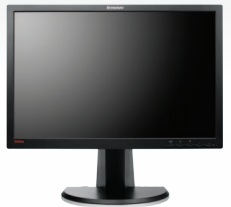 "Designed for large enterprises, the LT2452p is the perfect companion for your ThinkCentre desktops. Using a display has never been more comfortable, with exceptional on screen performance, with In-plane Switching (IPS) for wide viewing angles. Engineered with collaboration in mind, the 24 inch widescreen has lift (height), tilt, swivel, and pivot capacity, allowing for high viewing comfort. The LT2452p also offers high energy savings with green certifications. Additionally, the four USB ports allow you to connect portable devices directly to your screen, adding expansion options to your PC. The LT2452p widescreen monitor is the right choice for those who need an ultimate display to increase productivity and ease of use." The screen is available to order from Lenovo's website at £389.88 GBP. 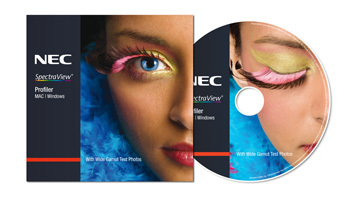 NEC Display Solutions Europe has announced the launch of SpectraView Profiler 5, the latest version of its sophisticated colour calibration software. Designed for reference display users that require highly accurate display calibration and profiling for colour critical applications, the update delivers a host of new features all wrapped in a brand new interface with application preset and express calibration buttons easily accessible. This latest version builds on the powerful existing functionality of the Profiler application, and now allows users to perform hardware calibration via USB or DDC/CI as well as providing full support of 3D LUT functionality. Also included is support for the latest BasICColor DISCUS and X-Rite i1Display Pro colorimeters. SpectraView Profiler 5 is compatible with all NEC SpectraView displays, including the NEC SpectraView 231 and NEC SpectraView Reference 241, 271 and 301 displays. The SpectraView® Profiler 5 Software is immediately available as a free download for existing SpectraView users on the Mac and PC platforms, including Apple OS X Lion and Microsoft Windows7 from NEC's site. NEC SpectraView displays will ship with the Profiler 5 Software from January 2012 onwards. Following on from their successful "Retina" displays used in the iPhone 4 and 4S, Apple are reportedly set to increase the resolution of future high-end MacBook models and the expected iPad 3 when it is released. For the MacBook displays they are expected to even offer a resolution up to 2880 x 1800 which is very high indeed, and even more than we see on current 30" desktop displays (2560 x 1600). 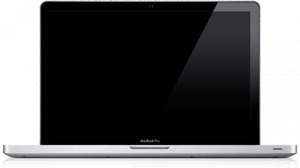 Apple is likely to launch its new MacBook Pro line-up with a display resolution of 2880 by 1800 in the second quarter of 2012, setting a new round of competition for panel specifications in the notebook industry, according to sources in the upstream supply chain. It is expected that when the iPad 3 is launched it will offer a retina display as well with a 2048 x 1536 resolution. No news yet on panel technology or manufacturer or whether we will start to subsequently see higher resolution panels being used in the desktop display market. 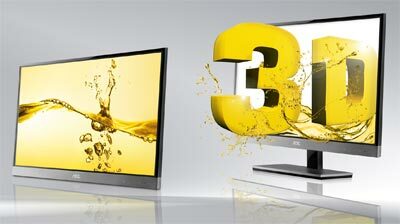 LG have just announced the production of a very interesting development in the 3D display market. 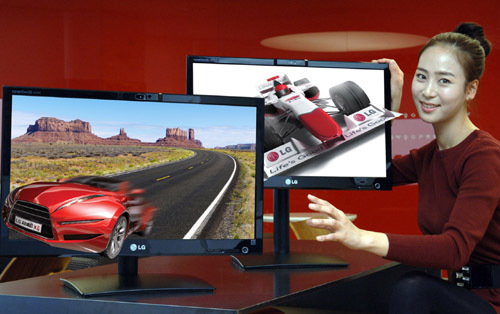 The LG DX2500 is a 25" sized display with autostereoscopic 3D support, meaning it can offer 3D content without the need for any special glasses! The screen will use "parallax barrier" technology apparently, similar to that used on the Nintendo 3DS. This will allow the user to see a different set of pixels in the right and left eye, through a series of special 'slits'. This will then produce a stereoscopic image to the user. The viewer’s eyes are tracked using a small camera built into the top of the LG DX2500 to optimise the viewing experience and broaden the viewing angles by dynamically adjusting the slits according to the main viewer’s eye position. The screen will also reportedly offer the ability to convert 2D material into 3D content. The screen is being released to the Korean market now at a price of 1.29 million won which is the equivalent of ~$1150 USD and £730 GBP. The screen is expected to be available globally during Q1 of 2012. 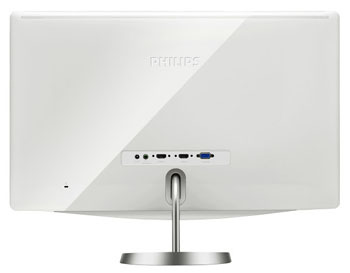 Philips have recently announced the release of a new monitor in their business range of displays. The 24 inch 241P4QPYES utilises AMVA panel technology from AU Optronics which is fairly rare nowadays with IPS being so popular. It also uses W-LED backlighting and is focused around energy savings in the office environment. Philips' website states that "The Philips PowerSensor AMVA LED display using 65% post consumer recycled plastics and PVC, BFR free housing is ideal for eco-friendly productivity. There is a built in power sensor to turn the screen off when no one is in front of it, and it offers an integrated 4 port USB 2.0 hub, a full range of stand adjustments and stereo speakers as well. We have added the full spec for each of these along with some updated TN Film panels to our full panel parts database. Hopefully we will begin to see some new VA based screens emerge soon with 120Hz support. 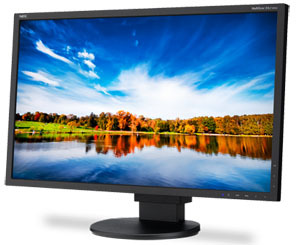 Never one for coming up with easy to remember monitors names, Philips have recently announced the release of their own 27" 273G3DHSW/00 3D monitor with active shutter glasses support. Thankfully it is being more commonly referred to as the 273G which is good. This model uses active shutter glasses as the mechanism for delivering 3D content and therefore supports 120Hz refresh rates. The screen comes with 2x HDMI 1.4a interfaces and so it can support 3D multimedia use (Blu-ray, consoles etc) as opposed to 3D PC gaming specifically. Philips is packaging the 273G model with DDD’s Tridef 3D software and you’ll also need a compatible ATI/AMD-based video card to use the monitor for playing games with the software on your PC. The monitor is not yet officially supported by NVIDIA’s 3DTV Play and since it is a 3D monitor and not a 3D TV it will most likely not be added as an officially supported product. The Philips 273G 3D monitor is expected to be available in Europe in December / January with a price of about 499 Euro, no word yet on US availability and pricing. Acer have just announced the release of an interesting new 27" monitor in their range, offering passive 3D support and even the ability to convert 2D content in to 3D. Apparently this "upscaling" feature is enabled simply through the OSD display, with no additional software of hardware needed, just their new display. "This allows regular movies and traditional photos and videos to be enjoyed in a completely new way," Acer said. "In addition, it works with any graphics card, so popular PC games can now be viewed in eye-popping 3D." The screen uses passive 3D technology (FPR) instead of active shutter (AS) and so does not offer 120Hz refresh rate support. The film-patterned retarder technology used in both the screen and glasses supposedly enables a flicker-free 3D viewing experience, reduced eye strain, fatigue and headaches. Acer's display will come packed with a set of polarized glasses made from composite materials for a lightweight comfortable fit. "[This is accomplished] by separating left/right images so only one image reaches the left or right lens at a time," the company said. "It also eliminates ghosting, since the display and glasses don't need to synchronize. Slightly larger than first generation 3D glasses, they provide a wider viewing area and increased external light blocking." The specs for the new screen are listed below. You may notice a rather crazy 100 million:1 dynamic contrast ratio quoted. These figures are largely meaningless and are becoming a little stupid now. The screen does offer 2x HDMI and 1x D-sub connections which is good, and there are integrated speakers provided as well. The 27-inch Acer HR274H 3D LCD is available for U.S. customers at leading retailers for $599 USD. We have had quite a few enquiries in the past from readers about whether our reviews are available to download and save offline, for archived viewing and reading on their eBook readers. We have listened to these requests and launched a news store where many of our reviews are available in this way. ﻿To make this possible we ask for a small contribution payment for the downloadable PDF's which will go towards the running of the site and help us continue to make high quality, detailed and informative reviews in the future. Payment is quick and easy via PayPal and all major credit cards are accepted even if you do not have a PayPal account. Some of our popular reviews are now available from the store and we are working to add more. If the review you want is missing, please contact us using the link at the top of the store and we will respond asap. Keeping up with the recent release of X-rites new i1 Display Pro colorimeter packages, NEC have now updated their own branded version of the device. They have introduced the i1 Display Pro as their own NEC SpectraSensor Pro device (also referred to as the MDSVSensor3) which is designed to work on a wider range of display types than their previous devices which were based on X-rite's i1 Display 2 colorimeter. The new device can work with CCFL, wide gamut CCFL, W-LED and RGB LED reportedly and offers faster speeds and higher accuracy. 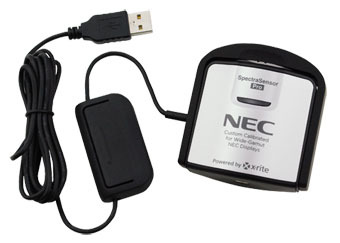 At the same time, NEC have updated their SpectraView II software to add compatibility. The software update and the SpectraSensor Pro are compatible with every MultiSync PA, P and 90 series model in NEC's range. The colorimeter is available for $199 USD but no word yet on a European release or support with their SpectraView Profiler software. 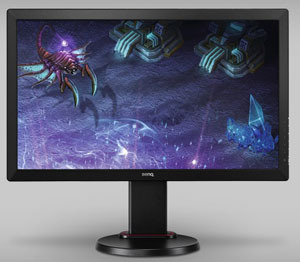 NEC have recently announced a new 27" model in their popular EA series of screens. The EA273WM is W-LED backlit which allows a 30% thinner and 25% lighter chassis design according to their marketing. This model also boasts a height-adjustable stand (130mm) and full connectivity with DisplayPort, HDMI, DVI-D and VGA inputs. The EA273WM includes touch-sensitive On Screen Display (OSD®) controls, human and ambient light sensors. Don't be mislead by NEC's quoted specs of 178/178 viewing angles. This model has a TN Film panel and they have quoted a misleading spec on their website using a CR>5 figure instead of the usual CR>10. The EA273WM is available now at a RRP of $499.00 USD. To help you stay up to date with all the latest news and announcements from TFTCentral we have now set up a Twitter feed which you can follow @TFTCentral. Find out first which reviews are coming soon, what the new arrivals at our offices are, and thoughts and comments on the displays we test and discuss. 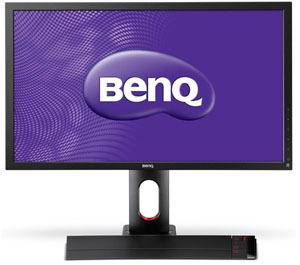 Following on from their popular XL2410T model, which wasn't without a few issues, BenQ are set to release an updated 24" gaming display later this year. The XL2420T has been designed by gamers, for gamers and again has been produced in conjunction with "legendary Counterstrike players". 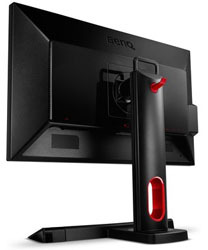 BenQ's website states "The XL2420T demonstrates BenQ’s true belief that "gaming is in the details" It has been co-developed with Counter-Strike pro gaming legends to bring you a gaming monitor like no other – from the attentive designs to the exceptional functions. With the precision and speed you would expect from a high-performance gaming monitor, you can now have a vantage point over your opponents in all your game play." "The preset FPS Mode tailored by HeatoN and SpawN gives you the optimal brightness, contrast, sharpness and color tint you need to spot and track your opponents' every move, even in indistinct situations. There are two variations to this special mode this year: the FPS1 mode is designed to configure and optimize the display for Counter-Strike 1.6 and the FPS2 mode for Counter-Strike Source as recommended by BenQ. The perfect combination of form and function provides gamers with the vantage point to always be one step ahead of the game." The XL2420T comes with a stylish S Switch. This distinct remote controller comes with three preset buttons so you’re able to customize and save your display settings for gaming, work or entertainment purposes. Use the scroll button on the S Switch to quickly navigate and change the OSD settings. It eliminates the tedious process of adjusting your monitor settings. Now switching seamlessly between the presets is as easy as 1-2-3. BenQ are also promoting a series of downloadable "expert presets" as users by professional gamers. There will actually be two versions of the XL2420 available. The standard XL2420T model is aimed at gamers who want 120Hz support but want to keep costs down a little. The XL2420TX will also offer a built in IR receiver and comes with 3D glasses. Both models still offer 3D vision 2 support but the X model just comes with the extras which added to the cost a little. The XL2420T is expected to launch late November in Europe with a RRP of £299 GBP. It is expected to be released in December in the USA, price TBC. 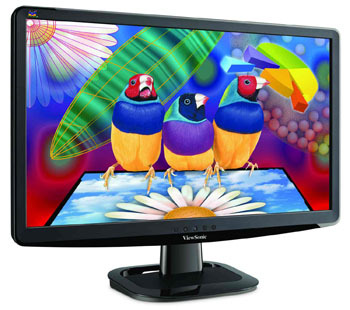 ViewSonic have recently announced the launch of an affordable 23" LED backlit 3D monitor in their portfolio. The new V3D231 is a polarized 3D offering offering an immersive experience for gaming which differs from the normal active 3D shutter technology. The V3D231 will use LG.Dispaly's FPR technology which we have already started to see emerge on some other screens recently. The V3D231 offers integrated SRS Premium Sound audio speakers, in addition to the included polarized 3D glasses. It also comes with an HDMI 1.4 connection for use with PS3 or Blu-ray 3D players. The V3D231 ships with one pair of polarized 3D glasses and one pair of clip-on polarized lenses, and is now available across Europe for an ESP of £239 / €279 Inc.
Iiyama have recently launched their first IPS based display, the 23" X2377HDS. Moving away from their normal TN Film based models, the IPS panel used here is surely a welcome edition. 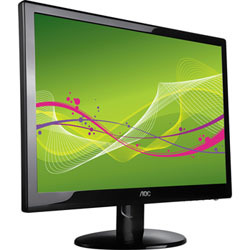 The screen is W-LED backlit and comes with HDMI, DVI and D-sub connections. There are also 2x integrated stereo speakers available. The ProLite X2377HDS is available from late-October at an SRP from £169.00 inc VAT. NEC have recently announced the release of a new display in their so-called 'office cool' range. The EX201W is a 20" TN Film based model offering a range of features and functions designed to fit well in any office environment. These include a stand offering 110mm height adjustment, swivel, tilt and pivot adjustments. Easy installation is guaranteed thanks to an integrated carry handle, L-shape touch sensor navigation keys for adjustments and optional carry bag and picture frame stand. The optional carry bag and photo frame stand are available for the entire EX product range from September 2011. 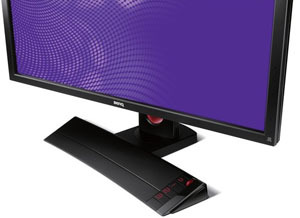 Integrated features of the MultiSync EX201W include the human sensor, which detects user activity in front of the monitor and reduces its power down when the user steps away from their desk. Similarly, the monitor’s brightness can be automatically adjusted by a built-in ambient light sensor – which detects external light conditions – and an auto brightness function – which checks the display content and adjusts the brightness accordingly. Despite being thin and light, the EX201W has a resolution of 1600 x 900, a 25,000:1 dynamic contract ratio (1,000:1 typical), and a 250cd/m2 brightness for crisp text, bright colours and pure imagery. Decent connectivity is also assured with both DisplayPort and DVI-I ports available. Hot on the heals of a couple of other IPS models announced recently, AOC are about to release a screen we first heard about in January at CES 2011. The new 23" i2353Fh will use an IPS panel combined with a super-slim 9.6mm profile to hopefully wow potential buyers. The screen also boasts 2x HDMI interfaces along with a fast response time of 5ms (G2G). The connection ports are actually integrated in the base, therefore not impairing the overall look by loosely hanging cables. There is also the usual over the top dynamic contrast ratio of 50 million:1, but the very thin design is of interest certainly. AOC's press release states: "The 9.6 mm profile is made possible by an innovative panel form and the separation of the monitor from the electronic components. A metal frame with hairline finish marks the front design, whilst the mirror-like black surface of the aluminium back lends the model a professional touch. The slim design and metal-covered stand with its tilt function create the clear and straight-lined style of the i2353Fh." The i2353Fh is anticipated to be available end of October 2011. The suggested retail price is £159 GBP. 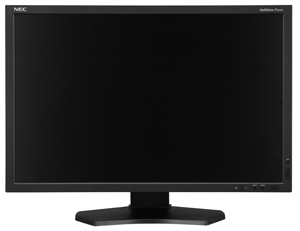 NEC have recently announced the release of a new 24" model in their Professional Graphics range, the 24" P241W. Confusingly this is a very similar model number to the PA241W which we tested a while back, but the two should not be confused. This model is a lower cost screen for a start with a retail price of around £185 GBP less. The screen has a similar design but the main difference between this and the PA241W is that the P241W features a standard sRGB colour gamut as opposed to wide gamut on the PA model. There aren't many standard gamut 24" IPS models in the market really and so this might prove popular for those wanting a standard gamut, but slightly higher end professional grade screen. This model utilizes an e-IPS panel for great imaging performance. Offering 96.7% coverage of sRGB colour gamut and 71.4% of NTSC, the P241W provides professional-grade benefits, such as an internal 14-bit 3D programmable lookup tables (LUT's), ColorComp digital uniformity correction, DisplayPort connectivity and built-in USB hub, at a budget-friendly price. The screen is a 16:10 format model and offers an 8-bit panel as opposed to the "10-bit (8-bit + AFRC) support from the PA241W. NEC state in their press release that "this new 24-inch LCD display is the perfect upgrade for customers currently using conventional 19- to 21-inch displays and who need to cope with the exacting display requirements for CAD-CAM engineering, financial trading and semi-medical uses." The P241W is available starting September 2011 with a recommended retail price of £702 GBP including VAT.